Google has moved past analytical evaluation of content and is now focusing on contextual content. This means you need to have good text “content” above the fold for SEO. 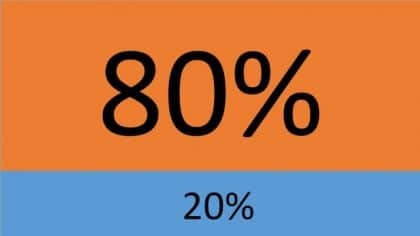 According to MOZ and Google above the fold contents grabs a users attention 80% of the time. If Google has done studies on this data for their Adwords, I’m sure they are putting this logic into their ranking algorithm. This means we have to hook the user before making them scroll. Conversely, it appears that having CTAs lower on the page help with conversions! The thought is you get the user more engaged after they read relevant content opposed to pushing a CTA down their throat as soon as the viewer gets to the page. “In our post-Penguin world, the practices that once resulted in a #1 ranking will damage your SEO efforts in ways you can’t imagine. In 2012, Google came down on unnatural link building and anchor text practices and it came down hard. So what does this mean for your page design? Include textual and relevant content above the fold to help with your SEO rankings. This is because Google is looking at the content contextually. With your content above the fold, don’t immediately shove a CTA (Call to Action) at them. Consider moving some of your CTAs down the page after the user has read some content.